Senior Advocate Mr. Suraj Narain Prasad Sinha is a former Chairperson of the Bar Council of India. 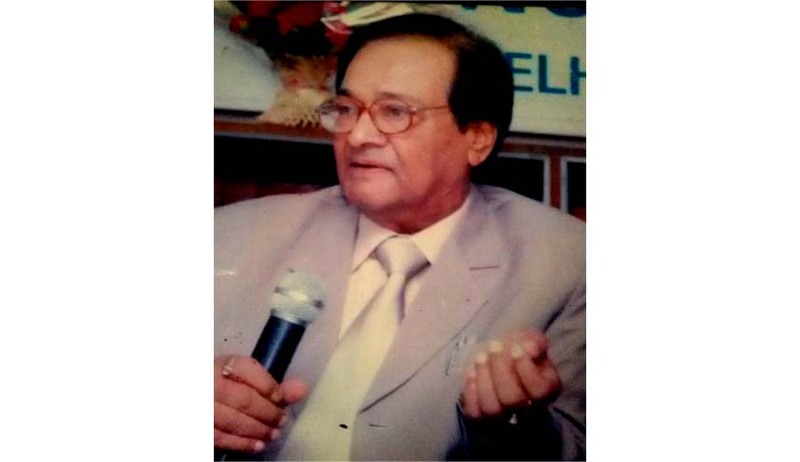 Mr. Sinha, a leading criminal lawyer in Patna High Court has had an illustrious experience at bar for around six decades now. In this interview, he discusses with LiveLaw his initial days at the bar, experiences as the Chairman, BCI and his views on the Collegium system, post retirement job spree by judges& entry of foreign law firms in India. We are extremely grateful to him for taking out time from his busy schedule and agreeing to give this interview to Live Law. Live Law : Sir, you have been in the profession for almost six decades now. Please share your experience as a lawyer starting from initial years at bar to the pinnacle of the profession. S N P Sinha : I have been in regular practice since 23rd August, 1957 i.e. over 57 years now. I started my practice from Sub Divisional Court, Samastipur, Bihar. I served as Assistant Public prosecutor of the State initially and then as a Public Prosecutor. I was an active member of the Jai Prakash Narayan movement but owing to my zeal to be in the profession I did not contest Assembly or Parliament election though offered by Late Karpuri Thakur himself. It was he who had appointed me as a public prosecutor. I resigned because of jail firing and killing of 18 under trial prisoners in Bihar and filed a case for murder against the then District administration which went up till the Supreme Court and I am being told that the matter is still pending against some of the officials in the District Court. After this incident, I shifted my practice to the Patna High Court. I was designated as Senior Advocate very shortly after I started my practice here and since then I have been primarily practicing in the field of criminal law. In 1989 I was elected as a member of the Bihar State Bar Council and since then I have continued as a member having contested several elections. I was elected as the chairperson of the Bar Council of India in 2008 for the fixed term of two years. I handed over the charge to Mr. Gopal Subramanium in 2010 after the expiry of my term. Live Law : The practice of law changed a lot with the advent of law firms few decades back. And now entry of foreign law firms has been largely debated. Please share your views on whether this should be allowed and what will be its impact on Indian Legal industry. Also please share with us experiences as the BCI head on this proposed step. S N P Sinha : The practice of law earlier was only concentrated in chambers of advocates who appeared before the courts. These chambers transformed gradually into firms and then in the current form of law firms. Subsequently, litigation and non litigation work was divided. All this increased revenue generation and the form of advocacy changed gradually. The process is undergoing gradual changes even now and nobody can predict accurately what form the practice of law will assume in future. However, the practice still remains unchanged in large areas. Entry of foreign law firms has both pros and cons. On one hand it is good for the economy and on the other it will open our legal market to global pressure. The question however is will we be able to control this inflow with our current regulatory framework, I say no. As a member of the Bar Council of India I had an occasion to visit universities of England and Australia which are affiliated with it. In 2008 I was invited by the renowned Bar Council of England and Wales. I went with some members to participate in the deliberation which was mainly in respect of allowing English law firms to open up business in India. The Ministry of Law and Justice had also requested the same. Our reply was that your population is hardly 1 lakh 40 thousand whereas the strength of lawyers in India is 12 lakhs. So if you allow us to establish 7 times the number of firms you wish to establish in India then we can think of allowing a similar position in our country too. I was even asked to meet the then law minister Kapil Sibbal for the same but I declined. According to my opinion from the very beginning unless there is a mutual disposition of give and take based on respective population of lawyers of the countries exercising such entries, it should not be allowed. Live Law : New fields of law apart from the conventional laws have cropped up with promising future ahead. What do you think have been main reasons behind such expansion of the profession? Also please share with us the role of BCI as the governing body to check interests of lawyers in such vibrant legal atmosphere. S N P Sinha : Times have changed gradually. The conventional laws and corresponding practice by advocates has largely changed. The basic laws have been branched and sub branched. Promising fields of law especially corporate law, immigration law, insurance, banking laws etc have emerged on the legal pedestal. Generation of new laws implies prior breaches and subsequent activeness of the state to secure rights of its citizens. Nevertheless, evolution in legal framework is always good for the society as it is directly proportional to progress. BCI has been striving hard to save interest of lawyers at large by introducing several schemes such as retirement benefit, pension to lawyers, medical reimbursement etc and also to check the inflow of such lawyers who take license but do not practice for which BCI has recently introduced several checks and balances. Let us see how it succeeds. Live Law : BCI recently notified the Bar Council of India Certificate and Place of Practice (Verification) Rules 2015. A Certificate of Practice (COP) shall be required now for advocates. Please share us your views on as to why these rules were essential and how will they protect the image of profession from being tarnished. S N P Sinha : These rules had become essential as the number of graduates who had obtained a law degree but did not ever see the doors of a court and never faced hardships an advocate faces daily, claimed benefits from the bar as well. BCI is a dedicated governing representative body for interests of advocates. People who obtain a degree a law and do not practice it cannot be kept at the same footage at those who have chosen to pursue this noble profession. That is why a COP has become inevitable. This COP is in line with what is required in other professions such as a CA, CS etc. This also protects images of lawyers as people who do not practice in courts at times have been found being indulged in non professional activities which cannot be tolerated. The institution comes first, personal interests later. Protecting goodwill of the institution is very important. Live Law : A lot of ink has flown so far on the Collegium v NJAC debates and soon it shall be notified. Please share with us your views on as to how the appointment of judges should be done; by judges themselves or via a statutory commission. S N P Sinha : So far as your question with respect to collegiums is concerned there have been vast resentments for several years that the collegium system should go and the new government has already passed the NJAC bill. It is said that in the collegium system many talented lawyers practicing in different courts could not get an opportunity to serve in the higher judiciary because they had incorrect judicio-politico inclinations/links with the members of collegium. Let us see in practice now how the commission works. Live Law : The judges of Constitutional Courts have often been alleged of succumbing to pressure from the ruling establishment while superannuating to take up post retirement jobs. Please share your views on whether a judge should take up a job after retiring apart from academic interests especially tribunals and corporate arbitration. S N P Sinha : We are aware that state is the greatest litigant in the country and the judges who are at the verge of superannuation & want to continue on special posts become pro government, therefore, in my personal view and views of many great thinkers, judges should not accept any post after retirement as it gives a bad name to the institution of our judiciary as a whole. Live Law : Please share with us few interesting events from your experience at bar and as the Chairman of the BCI. S N P Sinha : There was this case in which a Deputy Collector had filed a case against his servant for stealing his watch who had confessed before him that he stole the watch and sold it in market. The Deputy Collector when came for his evidence wascross examined by me. I asked that why did he file the case? He could have assaulted the servant for committing theft. Had I been in your place I would have assaulted him. He said that he assaulted him and then he confessed the guilt. So confession after assault becomes inadmissible and the accused was acquitted on this ground alone. I had a great time representing the BCI. Many Rules and Regulations notified now were orchestrated and triggered during my tenure and debated later on. Regarding entry of foreign law firms, as I have said above my views were very clear that it has to be on a sharing basis so that our friends at bar do not feel prejudiced. Live Law : The current crop of law graduates prefer opting for jobs (Law Firms/PSUs) instead of joining the bar. Please share with us your views on this and your message to younger members at bar. S N P Sinha : I have always advocated right from the very beginning of my career that “Sky is the limit for a lawyer”. If you join the bar you can be a leading advocate, a High Court judge, judge of subordinate court, or join politics, be the Prime Minister, President, a minister, even a teacher. So a lawyer can become anything, but in a firm one gets encircled within the four walls and employer makes you work for any number of hours a day suiting his business. It is true that initially a lawyer has to face great hardship but if you are a sincere student of law with high ambitions of reaching the top nothing can stop you.